Now here’s a writer I want to get to know better. George Saunders has progressed from technical writing to the pages of The New Yorker and, now, his novel, Tenth of December, is No. 3, on The New York Times best seller list for fiction. Not bad for plugging away at saying well what you need to say, either for co-workers or the public. Now, did you ever think that all the quests for approval, after requisite revisions, that technical writers go through, one of them would rise to such an estate – “a better eye for the absurd and dehumanizing parameters” of our times? Just shows where conscientious diligence, and talent, can lead. You don’t want to be thinking absurdity as you walk, say, through a nuclear power plant. But if diligence in a workplace setting leads to skills and insights that spill into best-seller fame, so much the better. 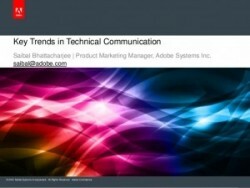 Here’s an interesting slide presentation by an Adobe Systems Inc. manager, Saibal Bhaattacharjee, on “Key Trends in Technical Communication.” It was presented at the recent MEGAComm annual conference. In a way, calling attention to the latest tech writing techniques shows how broadminded Encore is. That’s because Dennis Owen, our principal, works primarily on procedures for nuclear power plants, where new technologies don’t take hold nearly so fast as elsewhere. And that’s fully understandable. 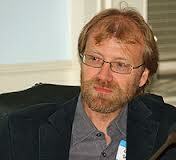 “You can’t even get a wireless signal for your iPad in most parts of a (nuclear) plant,” Dennis notes. “Indeed, plants don’t even want wireless devices because some plant equipment is sensitive to RF. And sometimes when you are in two layers of protective clothing and wearing a respirator while crawling around pipes and equipment, a paper procedure stuffed into you pocket is hard to beat.” Formatting for conditions, you might say. Here’s a promising site for technical writers to hang out on and perhaps enhance their skills – TechWhirl, at its Technical Writing tab. Its headings include Education Center, Upcoming Events, Industry News and Tech Writer Today Articles. There are also links to Content Management Industry, Technical Writing, Content Management Systems and Content Production. Technical writers are always being urged to take the time to be clearly understood. And that’s a noble aim. But if it should mean writing only in the most commonly used words, the first thousand of them, no more, it probably can’t be done. “Thousand,” itself, is not one of the “ten hundred most common words.” How do we know that, what kind of quirky excursion have we been on this time? “Well, now, here we’re going to try something that will be hard for most of you – in fact, not possible.